As we write this, it has been exactly six months since the start of the Thomas Fire. Looking up at the hills surrounding Ojai, we are struck by the beauty of an extraordinary spring. 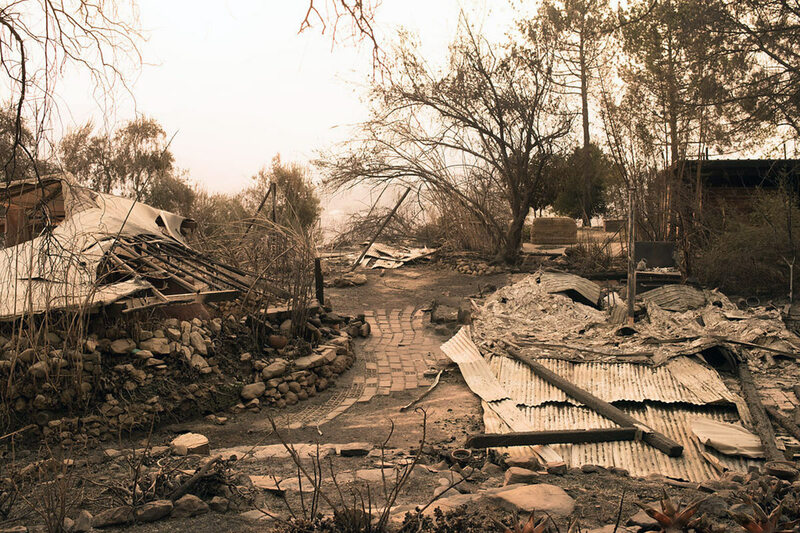 Add to that the bustle in Ojai in preparation for the Annual Music Festival, and one might easily overlook the on-going post-fire efforts at The Ojai Foundation and throughout the region. We continue to clear dead trees and care for existing vegetation, clean and restore damaged structures and infrastructure, and grapple with the considerable impact on lives, finances, and plans for the future. 2. A JOB OPENING. After the success of our RECOVER & REIMAGINE fundraising campaign, we are ready to add to our staff and provide much needed administrative support to our co-directors. We are currently seeking an Operations Manager. Click HERE for job description and how to apply. 3. COUNCIL 2 TRAINING – SPACE AVAILABLE.The Council 2 Training offered by The Ojai Foundation from June 29-July 1 still has space available. This training, offered to those who have completed Council 1, is a chance to deepen the practice, and is only the second council training on offer since the fire. Registration will close soon, so reach out if you would like to join us. Email contact@ojaifoundation.org to register or click HEREto learn more. 4. DAY OF SERVICE.This Saturday, June 9 is the last of our current series of public volunteer clean-up days. We hope you can join us. Going forward, there is plenty of need for ongoing hands-on support, so even if you can’t join us, stay tuned for opportunities to engage as the needs continue to unfold. Learn more about the Day of Service HERE. 5. REIMAGINING PHASE BEGINS.With the land now cleared of structural debris, a nearly-clean canvas inspires us to reimagine what is next for The Ojai Foundation. This is not a process to be rushed, and circumstances have offered us the rare opportunity to begin anew. Stay tuned for updates and ways to add your voice and effort to the process. As we emerge from the immediate aftermath of the fire, we are filled with awe and gratitude for the path thus far. We have been deeply touched and encouraged by the generosity and care of our global community, especially the many personal stories and testimonials that have come to us in these months. As we enter the next phase of Recover & Reimagine, we will continue to keep you informed here, including program updates on our calendar. And, of course, we welcome your interest, your stories, your prayers, and your generous gifts of money, time and love.